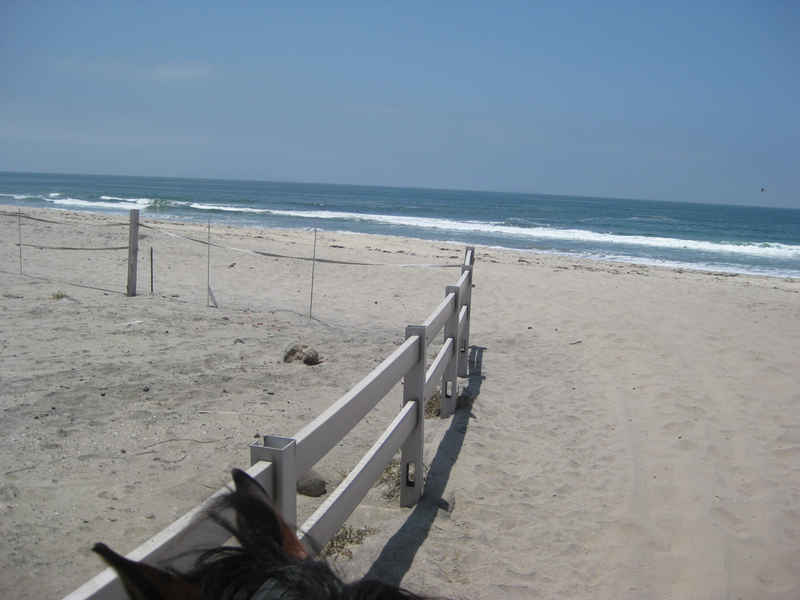 This is the place to ride along the beach. However, this is just the beginning. There are miles of trails along the mesa by the border and through exotic undergrowth to the north of the park. Summer is the time to come. It is absolutely glorious, when it can be very hot and dry inland. In winter, however, the trails can be boggy. Dogs are only allowed on a leash at the Monument Mesa Picnic area. Watch out for Border Patrol agents' vehicles. Also, when the park is open, you need to drive through the Border Patrol checkpoint. 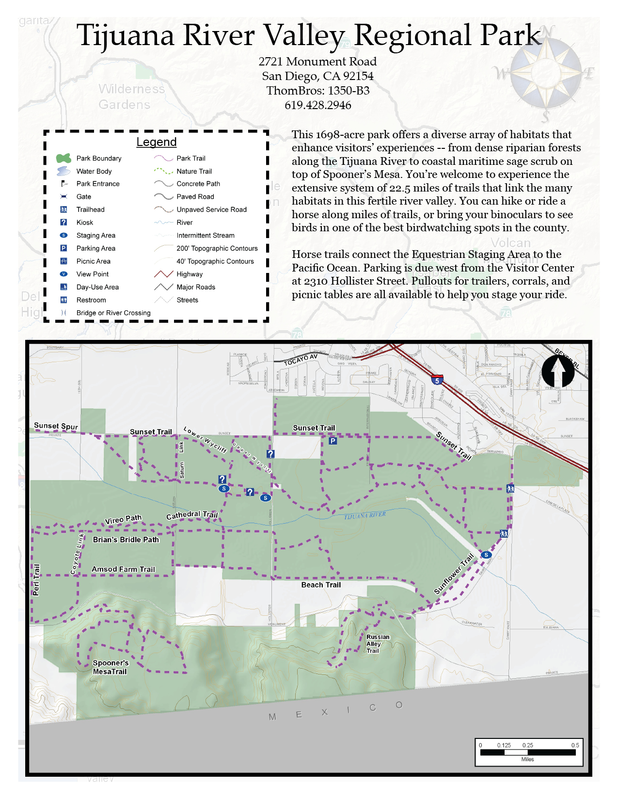 You can download a terrific trail map from The Tijuana River Valley Volunteer Association website. Check it out. Also, the TRVEA website has good information on the current status of the trails. The park is located 15 miles south of San Diego. Head Southwest on Dairy Mart Road. Dairy Mart Road will curve right onto Monument Road. Turn right (West) on Monument Road until you reach the park entrance. (For Southbound traffic) Exit Coronado Avenue (exit #4) in Imperial Beach. Go straight from the off-ramp onto Hollister Street. Continue down Hollister until you reach Monument Road. Map of Tijuana River Valley Trails. 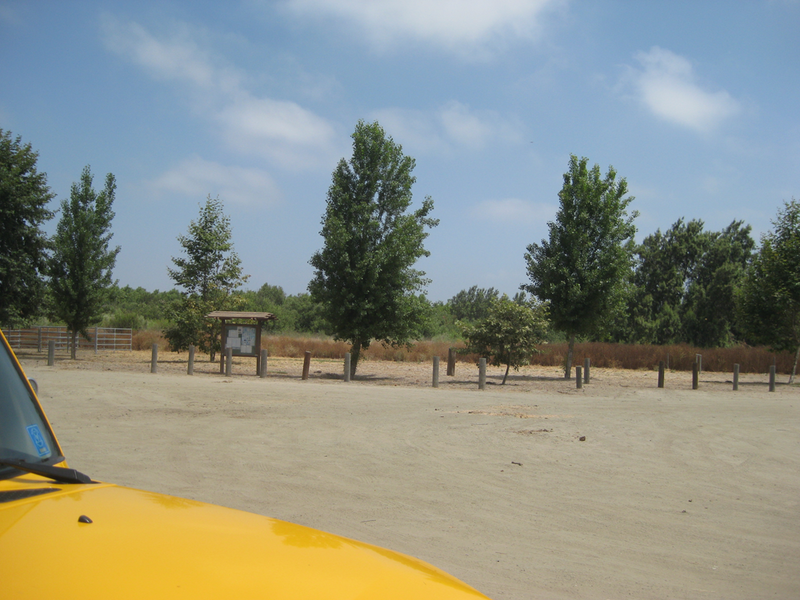 I am going to describe the main parking areas, and some trails you can try. 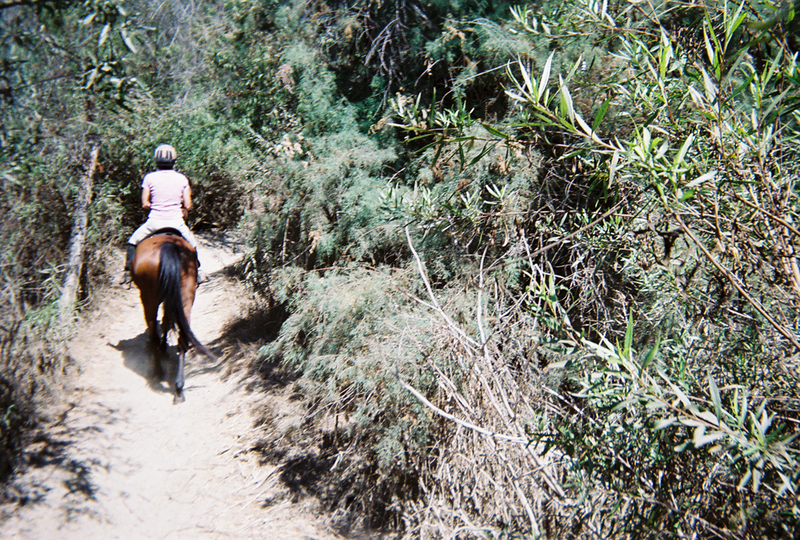 For a fuller description of the trails, see trvea.org. There are many more trails. If you have time, email me with your favorite trail and I will update this page. This is a small parking area with portapotty facilities and two corrals. There are spaces for several trailers. From here you can ride directly west to the beach. Enjoy!!!! Watch out for the protected areas, which are marked. 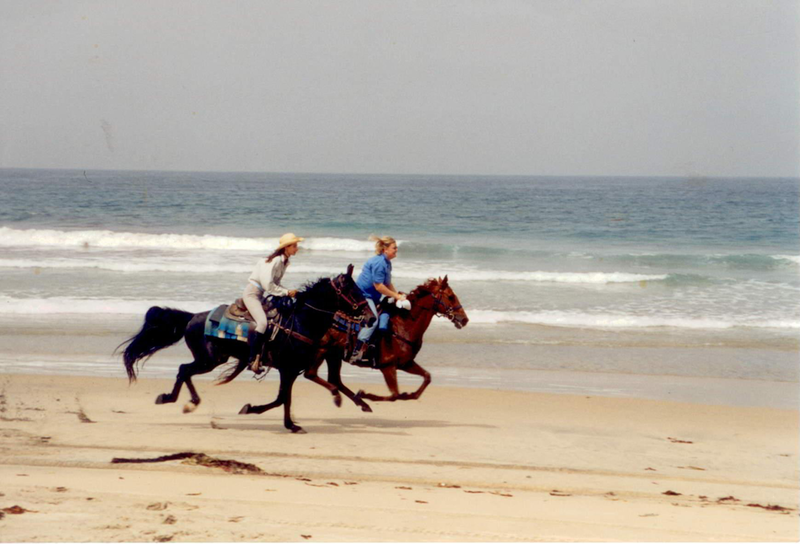 On weekends, when the park is open, you can drive your truck and trailer to the parking area by the beach, where there are bathroom facilities and several corrals. This parking area is not always open, however. Check http://www.parks.ca.gov for park opening hours. This staging area is on Hollister Street and Sunset. There is potable water, portapotties and room for about 10 trailer rigs in the staging area with overflow parking areas. 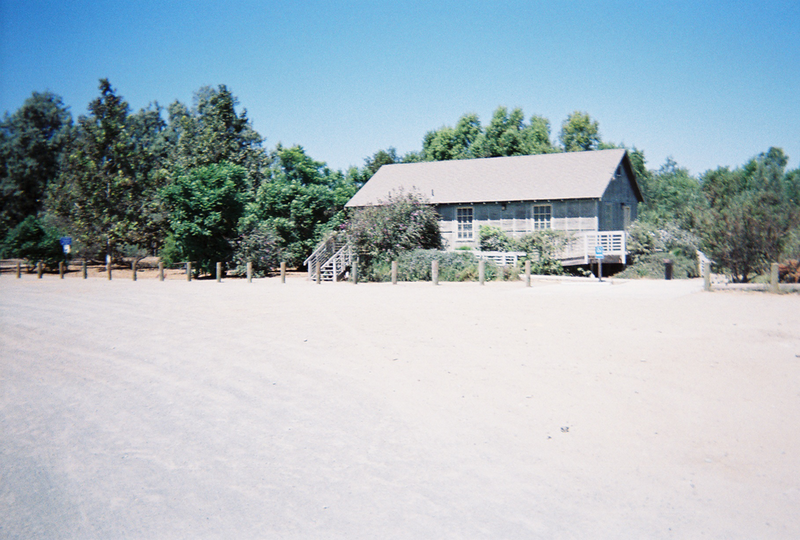 There are two horse stalls, picnic tables, a hitching post and a lovely bird and butterfly garden. 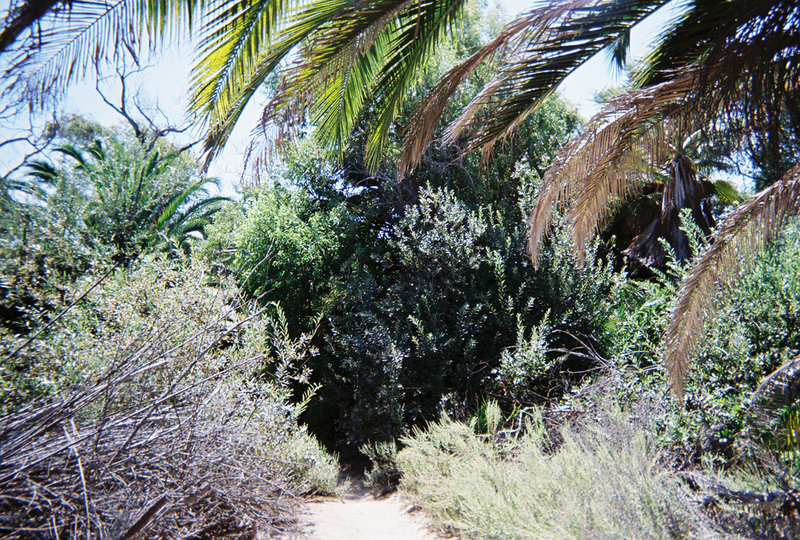 From this staging area, you can get to the beach via many trails through the exotic undergrowth. 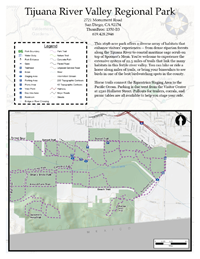 For a map of the trails, see the TRVEA website. It is well worth a visit.